During Star Trek Online’s 7th Anniversary event you will be able to obtain 7th Anniversary Prize Vouchers by participating in the event. 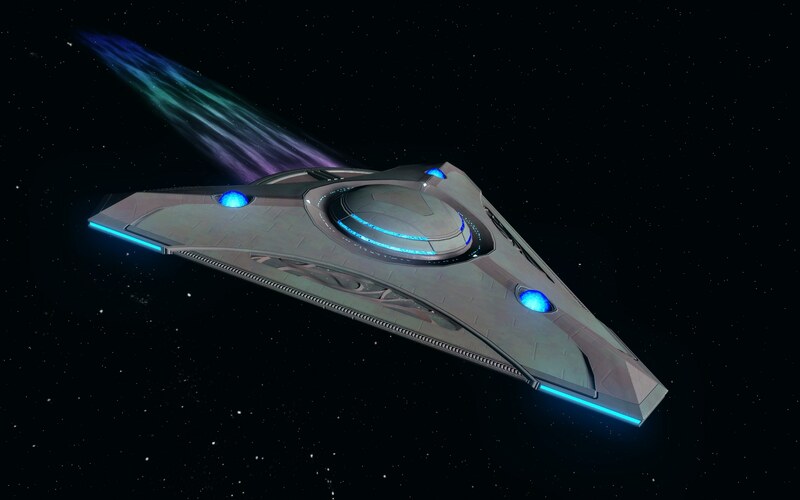 These 7th Anniversary Prize Vouchers can be spent on an Event Reputation project to obtain the Tier 6 Lukari Ho’kuun Science Vessel! This project requires 1000 7th Anniversary Prize Vouchers. 400 of these Prize Vouchers can be earned by completing the “Of Signs and Portents” Featured Episode for the first time. 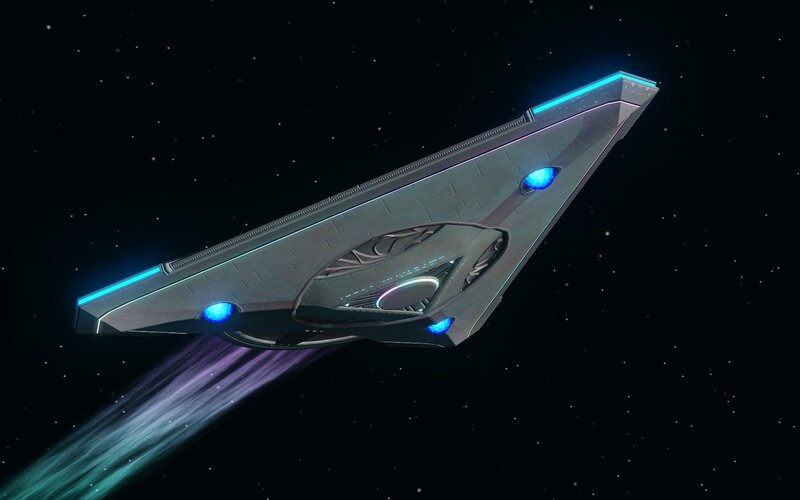 The Ho'kuun-class is the first warp capable starship that is entirely of Lukari design. Lukari engineers took what they learned from the Alliance's starships and applied it to build something truly unique. 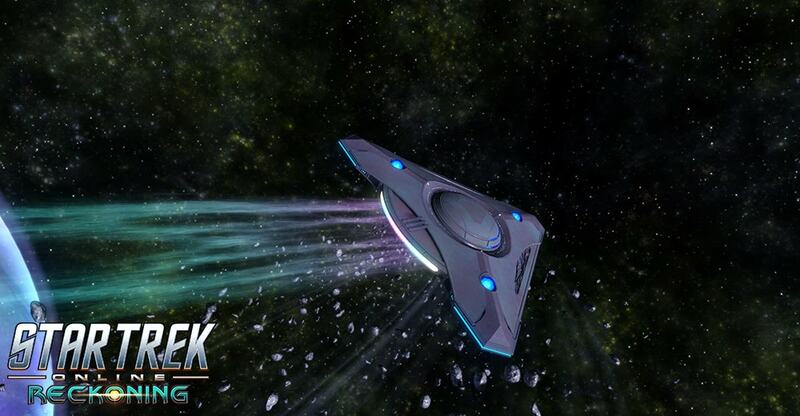 The Ho'kuun is a highly agile starship that is specialized in providing support to allied starships. This starship features a Lieutenant Commander Engineering/Intel Bridge Officer station. The Lukari Ho'kuun Science Vessel comes equipped with a Protomatter Field Projector Universal Console. Starships equipped with this console are capable of emitting a Protomatter Field, centered on them, for a short time. Allies that enter this field will have their hull and shield regeneration rates dramatically increased as long as they remain within its area. This console also provides a passive bonus to Starship Hull Repair and Starship Shield Emitter skills. This console may be equipped on any starship, but only one may be equipped at a time. After reaching level 5 in your Lukari Ho'kuun Science Vessel [T6], you will unlock the Protomatter Capacitor Starship Trait. While this trait is slotted, hitting an enemy with Charged Particle Burst, Tachyon Beam or Energy Siphon will provide a stack of Protomatter Charge. Each stack of Protomatter Charge increases the user's Hull and Shield Regeneration. This effect stacks up to 3 times. Overcharged Warp Cores increase maximum Auxiliary power by 5. Braydon Reconnaissance Warp Cores are designed to overcharge auxiliary power levels, increasing a ship’s maximum Auxiliary power. The warp core also gives bonus Engine power based on your current Auxiliary power level; increasing flight speed. This warp core is configured to use a higher warp factor when in slipstream and comes with an upgraded Engine Capacitor that buffs your entire team. Overcharged Singularity Cores increase Auxiliary power level by +5 to +15, based on your Singularity charge level. Braydon Reconnaissance Singularity Cores are designed to overcharge auxiliary power levels, increasing a ship’s current Auxiliary power. This warp core has additionally been modified to increase singularity charge generation rate and amplify the accuracy debuff to foes from Singularity Jump. This singularity core is configured to use a higher warp factor when in slipstream and comes with an upgraded Engine Capacitor that buffs your entire team. Can only be equipped on Warbirds. This starship also comes with the new Lukari Bridge. NOTE: The above stats and systems are subject to change. The box that the ship comes in, which cannot be opened until the opening player has the minimum rank listed above, is bound upon pickup.